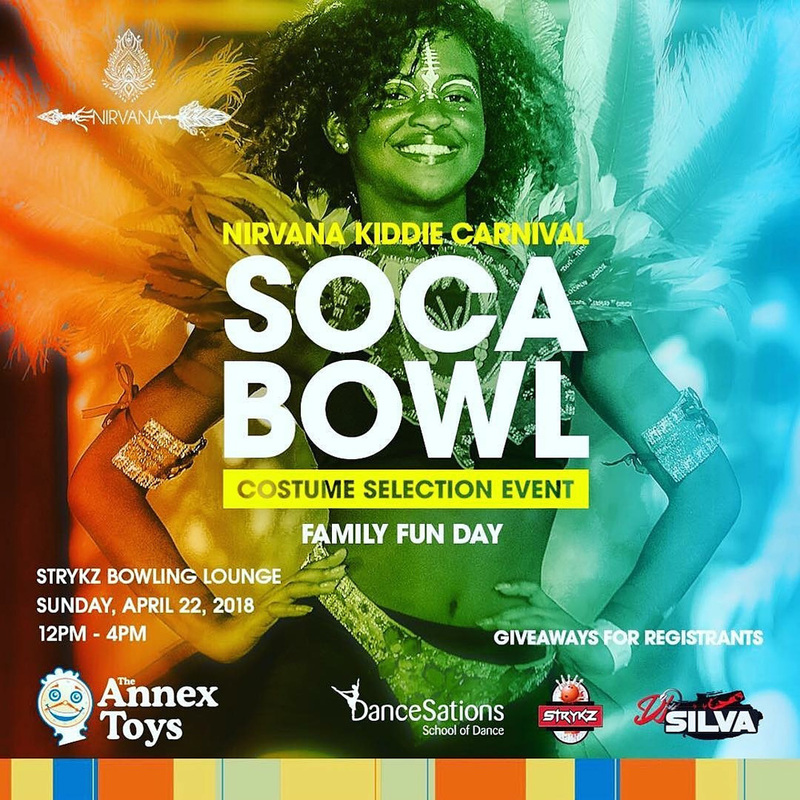 Nirvana Soca Band is getting set to present a Kiddie Carnival/Soca Bowl Family Fun Day to be held this Sunday [April 22] at the Strykz Bowling Lounge at 27 Southside, St.Davids. A spokesperson said, “The free event starts at 12.00pm and ends at 4.00pm. Costume selections, tee shirt packages and sign up sheets are available. A funcastle and Strykz restaurant will also be open. “For the soccer enthusiast, live games will be shown and a house DJ will be playing the latest in soca music.